Varnished wood to reduce staining and to be able to wash the stamp with running water. 1/8" (3mm) thick foam cushion to enable good ink coverage. SOLD OUT & DISCONTINUED ! 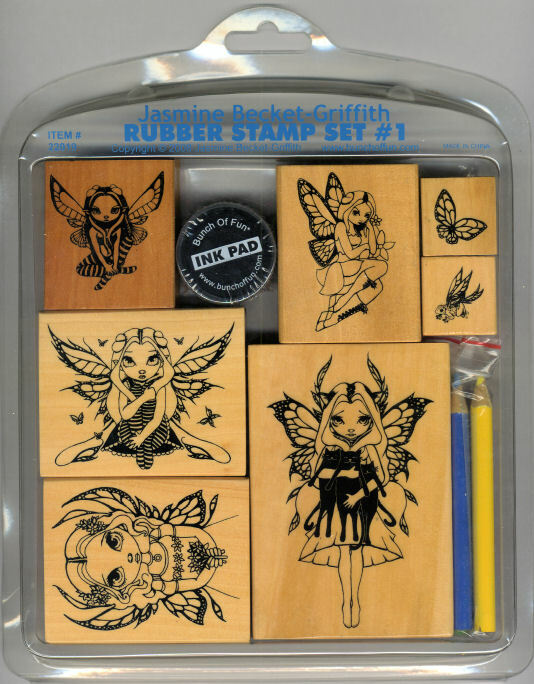 Jasmine's beautiful fairies are finally available as rubber stamps! The biggest stamp measures 2 3/4" x 4" (70mm x 100mm), the rubber is a bit smaller. 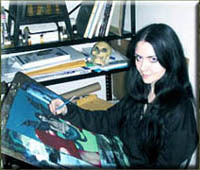 That's the one with the fairy holding the cats. The smallest stamps are 1" x 1" (25mm x 25mm), those are the butterfly and frog.